A friend recently recommended ‘Yes Man’ to me. It is a fantastic book and film in which the main character essentially says ‘yes’ to everything he is asked and lots of good things happen as a result. However, he also later learns that ’yes’ is not always the right answer. And this got me thinking about the power of saying ‘no’. 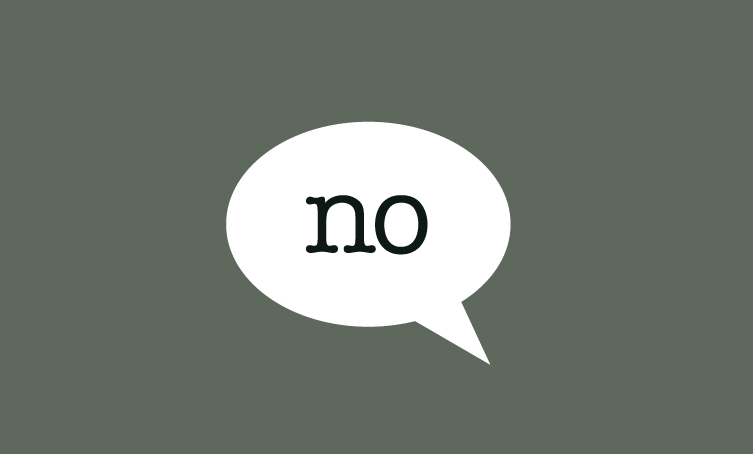 Although saying yes can more often than not bring opportunities, saying no can be equally powerful if used carefully. For example, have you ever wanted to say no to somebody or something and then said yes and ended up doing something you didn’t want to do? Of course there are many reasons for saying yes to things that are not always within our control, however at times, although perhaps challenging, saying no could have created better opportunities for you and even made you happier. It can be incredibly empowering to say yes to a new opportunity that comes up. However, no can be equally, if not more important. So for those who may remember, sometimes it’s good to just say no.